Rosemary is a plant that is loaded with minerals and vitamins such as fiber, iron, calcium, potassium, manganese, folic acid, and vitamins A, B6, and C.
Rosemary (Rosmarinus officinalis) is a small, evergreen, woody plant with a pine-like fragrance that is mostly found in Asian, Mediterranean, and European regions; it can survive in cold climates too. Rosemary (also known as garden parsley) is loaded with minerals and vitamins such as fiber, iron, calcium, potassium, manganese, folic acid, and vitamins A, B6, and C. Rosemary has varied uses including as an ornamental shrub (rosemary plant), in cooking (to flavor meat, to prepare tea, etc. ), and for its essential oils. It is also known for its wide-ranging medicinal properties since ancient times. 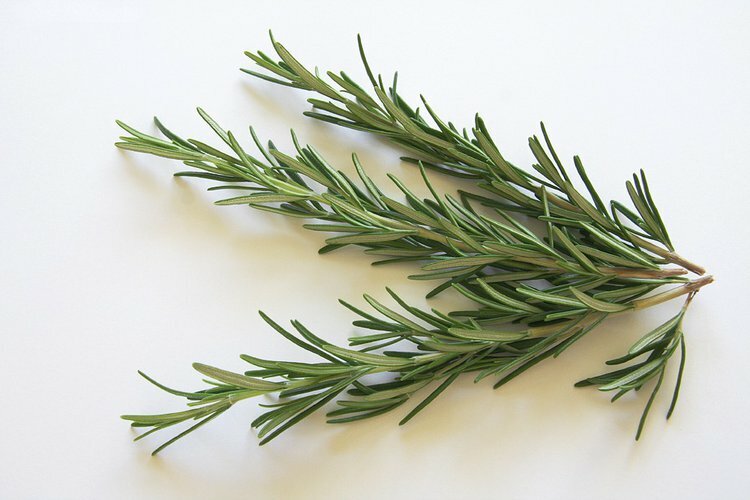 There is evidence to suggest that certain compounds of rosemary may fight cancer. In animals, an application of rosemary extracts inhibited skin tumor growth. Dragan and others in 2007 examined rosemary extracts as being helpful in relieving oxidative stress in women with terminal stage breast cancer. It has been studied that rosemary extracts may also prevent the proliferation of cancer cells of the ovary. Per a study by Yesil-Celiktas and others in 2010 and published in the journal Plant Food for Human Nutrition, rosemary antioxidants were observed to inhibit the growth of cancer cells in humans, particularly with respect to lung cancer, prostate cancer, liver cancer, and chronic myeloid leukemia. However, it was also found that some rosemary compounds could interfere with certain chemotherapy agents in cancer patients undergoing treatment. The fragrant oils and chemicals in rosemary have been used as part of aromatherapy to reduce stress and reduce anxiety. Moreover, since ancient times, the sweet-smelling rosemary leaf compounds have enhanced memory and increased concentration. Thus, the cognitive functioning during aging may be enhanced and controlled, as was shown by certain tests performed for cognitive performance. Rosemary tea is good for stress reduction. This rosemary herb can help calm individuals with a tension headache or depression. In laboratories, rosemary essential oil has displayed anti-fungal (against Candida yeast) and anti-bacterial properties in fighting infections. Rosemary can also stop certain foodborne infections such as those caused by Bacillus cereus (causing diarrhea, nausea, and vomiting), Staphylococcus aureus (causing food poisoning), and Listeria (infection due to contaminated meat). Scientists are examining the possibility of using rosemary to treat Parkinson’s disease. Initial studies have shown that rosemary compounds may have a role to play by stopping the damage that occurs to certain brain cells involved in the condition. This study was published in the journal Cellular and Molecular Neurobiology in 2010. Dragan S, Nicola T, Ilina R, Ursoniu S, Kimar A, Nimade S. Role of multi-component functional foods in the complex treatment of patients with advanced breast cancer. Rev Med Chir Soc Med Nat Iasi. 2007;111:877–84. McCaffrey, R., Thomas, D. J., & Kinzelman, A. O. (2009). The Effects of Lavender and Rosemary Essential Oils on Test‐Taking Anxiety Among Graduate Nursing Students. Holistic nursing practice, 23(2), 88-93.
de Barros Fernandes, R. V., Borges, S. V., & Botrel, D. A. (2014). Gum arabic/starch/maltodextrin/inulin as wall materials on the microencapsulation of rosemary essential oil. Carbohydrate polymers, 101, 524-532. Sayorwan, W., Ruangrungsi, N., Piriyapunyporn, T., Hongratanaworakit, T., Kotchabhakdi, N., & Siripornpanich, V. (2013). Effects of inhaled rosemary oil on subjective feelings and activities of the nervous system. Scientia pharmaceutica, 81(2), 531.